Oversized Artwork - Are You A Fan? Are you a fan of oversized artwork? Sometimes these could be larger than the furniture in a space or in some cases take up almost an entire wall. The following are great examples of how such pieces can work whether on an entire wall, above a mantle, to the side of a mantle, centered on a wall or not, or anywhere one might choose to place one. And these could work in any style of decor, too. I am definitely a fan. The artwork can be the main focus in a space, can add much-needed color, be thought-provoking, set a mood or can enhance the furniture already in place. If you have been following my blog for a while you will already know that I do not abide by any rules when it comes to decorating. Any space should reflect one's lifestyle and one's personality and, at the end of the day, make one happy. Therefore, there should be no rules in terms of size of artwork if it is what one wants. What do you think? Is this something you would consider in your own home if you have not already? 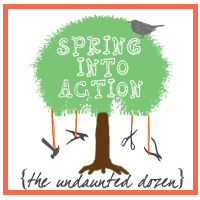 On a side note: It has been four days since my last post as I have been busy - my kids have been on Spring break all this time and for the rest of the week but I will be back on Thursday with the next update on the Spring Into Action project party.